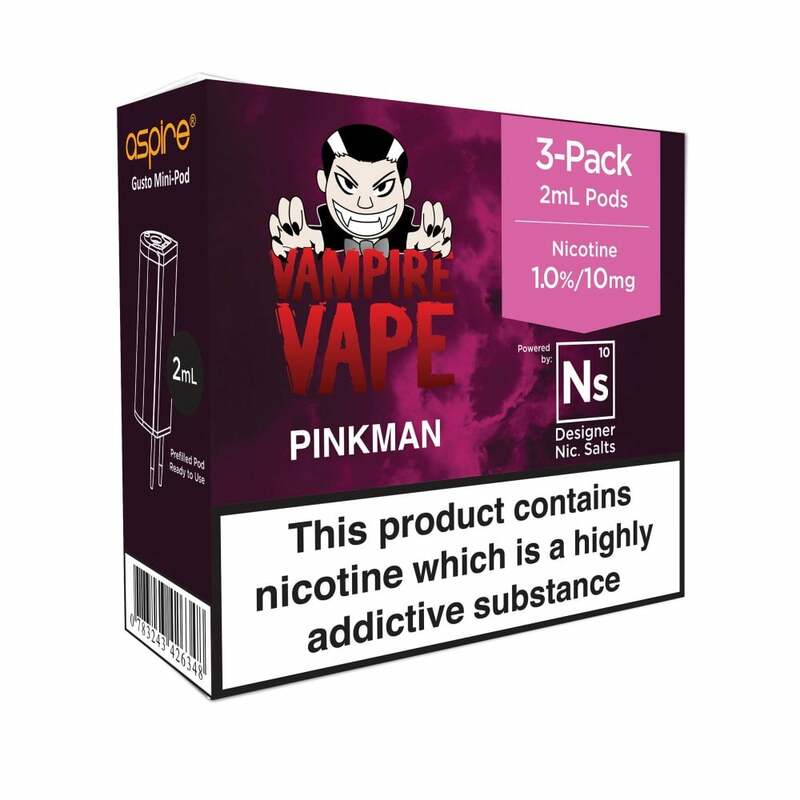 Vampire Vape’s famous Pinkman, now available as a nicotine salt pod for the Aspire Gusto Mini! Vampire Vape are keeping their Pinkman recipe firmly under wraps, but if you love a fresh and juicy mixed fruit flavour, this could be your next all-day vape. Slightly tropical with undertones of citrus fruits, Pinkman pods for the Aspire Gusto Mini are an irresistible option, and now come with nic salts for an even more satisfying vape. Aspire Gusto Mini pods are available in 10mg (NS10) and 20mg (NS20) nicotine strengths, hold 2ml e-liquid and are made with nicotine salts for a quick and ultra-satisfying rush of nicotine. Aspire Gusto Mini pods come in packs of 3. This vape is a great product, and the flavour is great, however it runs out too frequently to make it viable. in one charge of the battery, I can easily go through 3 refills.